Sri M Balamuralikrishna is a famous Carnatic Singer , Who has sung in many South Indian Films as Playback Singer . His Song " Oru Naal Podhuma " in movie Thiruvilaiyadal is an sample of his Masterpiece . He has contributed many Hit songs to Tamil Film Industry Such as few to Quote as " Chinna Kannan Aazhaikiran " from Movie Kavikuyil , " Anbalae Azhagagum Veedu " from Pasanga Movie etc. Here i have Presented Few Videos of Sri. 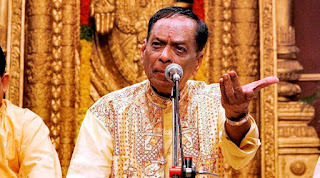 Balamuralikrishna .